Centralised data protection – suitable for continuous operation. The cutting shafts: Manufacturing high-quality shredders with long life cycles has always been a declared aim of the Krug & Priester company. Our top-quality cutting shafts made of special hardened steel, which are the components subject to the greatest workloads, inspire us with so much confidence, that we introduced the Lifetime Guarantee against breakage. EASY-SWITCH: Ease of operation: intelligent multifunction switch-element with integrated optical signals indicating the operational status. Additional “emergency switch” function. 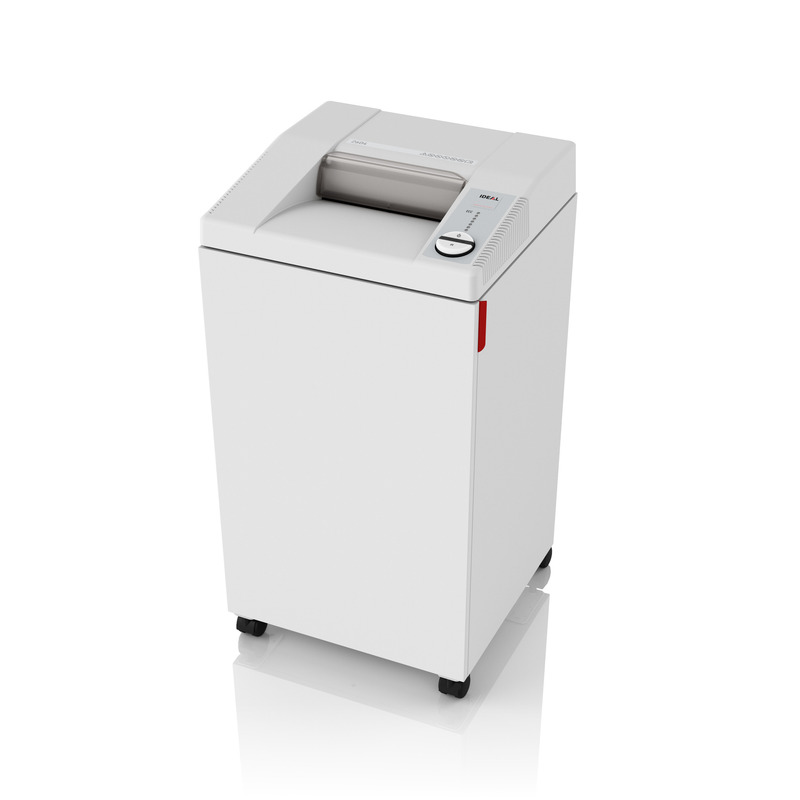 Convenient shred bin: The environmentally-friendly shred bin can be removed easily and cleanly from the cabinet. The bin can be used with or without disposible shred bag. First-class components: Quality in every detail: cabinet with adjustable metal hinges and attractively designed swivel castors. Automatic functions: Tried and tested: Reliable printed circuit board controlling all automatic functions of the shredder including the energy saving mode. ECC – Electronic capacity control: This electronic feature indicates the used sheet capacity during shredding process to avoid paper jams. Der Blaue Engel: Für seine hohe Energie-Effizienz wurde dieser Shredder mit dem „Blauen Engel“ ausgezeichnet. So bedingt die Funktion “Zero Energy Consumption” bei diesen Modellen eine komplette automatische Abschaltung der Maschinen und damit einen Null-Energie-Verbrauch nach 15 Minuten.